Barbados is known for being the birthplace of rum and the popstar Rihanna, as well as being the winter escape choice for celebs such as Simon Cowell and Wayne and Coleen Rooney. But believe me – there is so much more to this beautiful island. 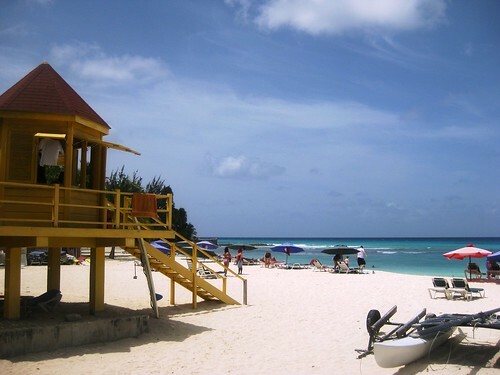 Barbados is a small Caribbean island that’s filled with about 275,000 of the friendliest people you will ever meet. I’m a little biased when it comes to Barbados – my grandparents were born and raised there before moving to England in the mid-50s. 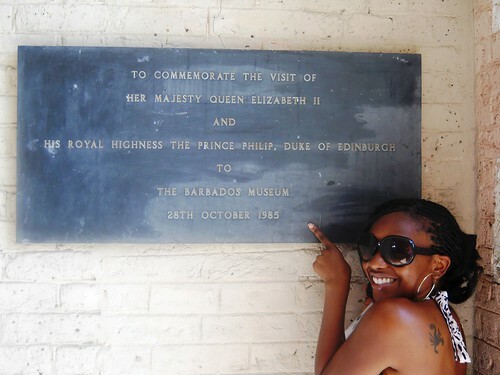 This meant my first trip to Barbados wasn’t just a holiday, it was a chance to find out about my family tree. Family connections or not, Barbados is an awesome place to go on holiday. Here, I’ll prove it to you. The beaches in Barbados are exactly how you imagine paradise to be. Being an island there are beaches everywhere but generally the west coast beaches are calm and peaceful (and where you’ll find celeb homes and expensive resorts). South coast beaches are lively and touristy and the east coast beaches are rugged, unspoilt and with their rough waters, perfect for surfing. St Lawrence Gap, a 1.3km long strip on the south coast of the island, is where you need to go if you enjoy good nightlife. During the day it’s a lovely place to eat but at night you’ll find tourists and locals alike, drinking and living it up at places such as Sweet Potatoes, Café Sol, Sugar Ultra Lounge, McBrides and the Reggae Lounge. At my fave St Lawrence Gap hangout, Sweet Potatoes. Tell Ricky (pictured) Nadine sent ya! 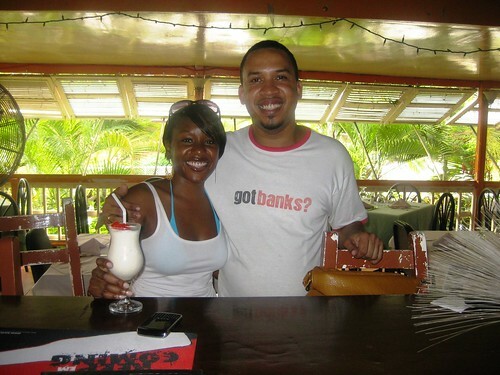 Oistins is a fishing town which transforms to being ‘the place to be’ every Friday night. Hundreds of visitors and locals flock to Oistins for the ‘Fish Fry’ every week to sample the local food. 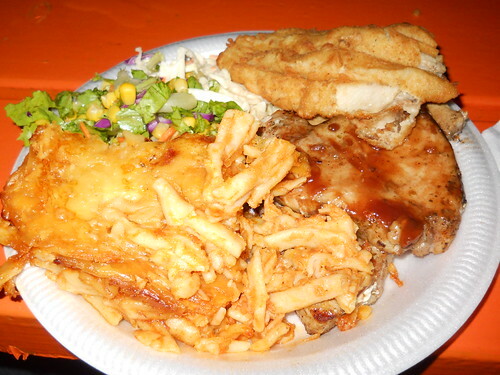 There are all kinds of fish – fish I’d never tasted before: flying fish (the national dish), kingfish, marlin, mahi-mahi, swordfish – plus sides such as macaroni pie, sweet potato, coleslaw, rice and peas. There are vendors selling their wares and people dancing and ‘liming’ (that’s ‘hanging out’ to me and you), too. Bridgetown is the capital of Barbados. The Houses of Parliament, Nelson’s Statue, National Heroes Square (formerly Trafalgar Square), Kensington Oval and Chamberlain Bridge are all here. Also in Bridgetown is Cave Shepherd, a department store with great duty-free shopping and the tastiest lamb chops and macaroni pie available at the top floor restaurant. The Island Safari Tour is a great way to see the island. 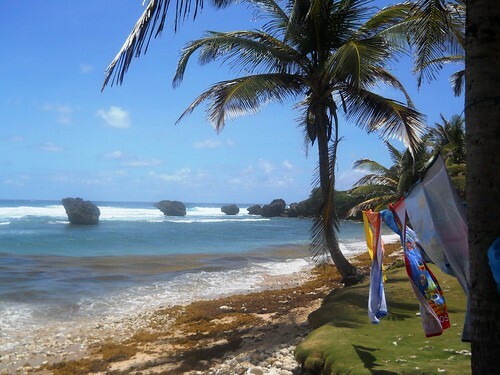 You’re picked up from your hotel and taken on a tour that includes the northernmost parish on the island (St. Lucy) and also a well known east coast beach, Bathsheba. You’ll drive off-road through forests and you’ll make regular pit stops to get out, take photos and re-hydrate with rum punch (what else?). What really makes the tour are the tour guides who impart their island knowledge and wisdom while keeping you laughing at the same time. Highly recommended! Nothing I say will do justice to how amazingly stunning Barbados catamaran cruises can be. Companies such as Jammin’, Calabaza and Cool Runnings regularly run trips up the west coast of the island and back again. These five-hour trips include breakfast snacks, a hearty (and very tasty) lunch buffet and as much rum punch as your heart desires. Picture it: sunshine, the sea, magnificent scenery, good food, unlimited drinks, background music and the chance to snorkel with turtles if you wish. It’s mind-blowingly beautiful. 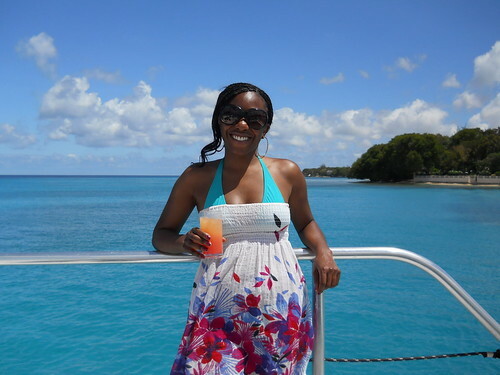 Me, on a catamaran, with a rum punch = bliss. If shopping in Bridgetown is like shopping on your local high street, shopping at Limegrove Mall is like shopping in Mayfair. This is place for the people with plenty of cash to splash. 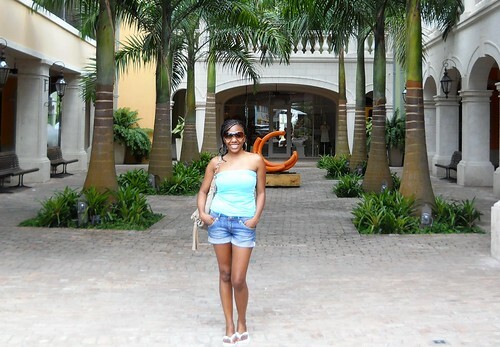 Limegrove is a new and very modern looking mall with lots of high-end stores; Armani, Louis Vuitton, Jaegar, Ralph Lauren, Cartier, Theo Fennell, Gucci, Bulgari plus much more. I didn’t realise just how much I loved rum until my first trip to Barbados a few years ago but now, I love it in every which way I can get it – in ice cream, cakes, cocktails, milkshakes or with a mixer. Man, I love me some rum. 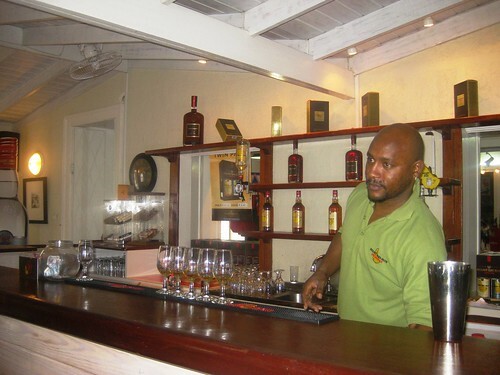 At the Mount Gay Rum Tour you learn the history of rum in Barbados and the tour finishes with a tasting session too. My fave part of the tour, obvs. The geek in me loves this place. 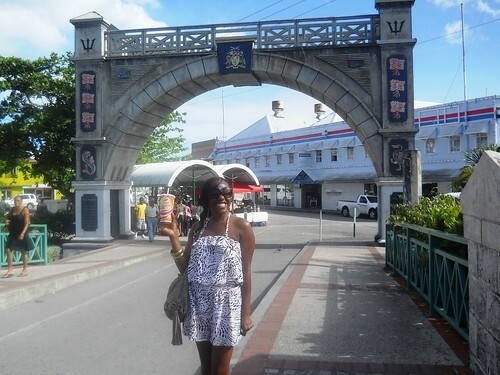 I could gorge on the history of Barbados all day long. Everything from the Amerindians (the island’s first inhabitants), an 18th century plantation house and the British rule right through to independence. Situated in a former British Military Prison, this is both an educational and visually beautiful place to visit. This is one thing on my list that I haven’t yet experienced myself but it’s the one thing that I’ve been told that I really need to! 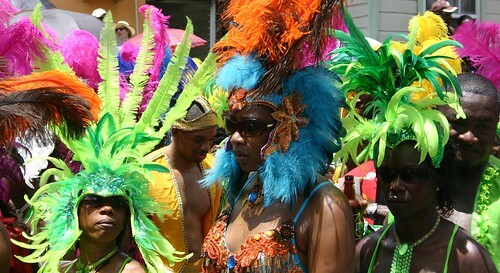 Crop Over is Barbados’ annual carnival and the celebrations take place throughout July and culminate in August. It’s supposed to be an amazing experience; I think I’ll plan my next trip to Barbados around it. Maybe I’ll see you there?